NAPLES, Fla. - Feb. 16, 2017 - PRLog -- Dr. Leena Plavumkal of Vet on Wheels has expanded her mobile veterinary services to now include Collier County in addition to Lee County. Vet on Wheels is a mobile veterinary clinic that makes house calls to care for small animals and pocket pets, such as dogs, cats, rabbits, hamsters, guinea pigs, rats, birds and ferrets. Services include wellness exams, vaccinations, lab tests, teeth cleaning, microchipping, health certificates, and private, compassionate, at-home euthanasia. "Care at home is less traumatic for most pets, especially cats, allowing us to concentrate on their care and treatment without having to first calm them down," said Dr. Plavumkal. "House calls are especially beneficial for elderly or extremely ill pets that can be cared for more comfortably in their own environment." House calls can also be more convenient for pet owners with limited mobility and transportation options or who own multiple pets that make getting to a veterinarian's office difficult. House call charges include a small fee associated with the travel, but all other fees are comparable to standard veterinary clinics. 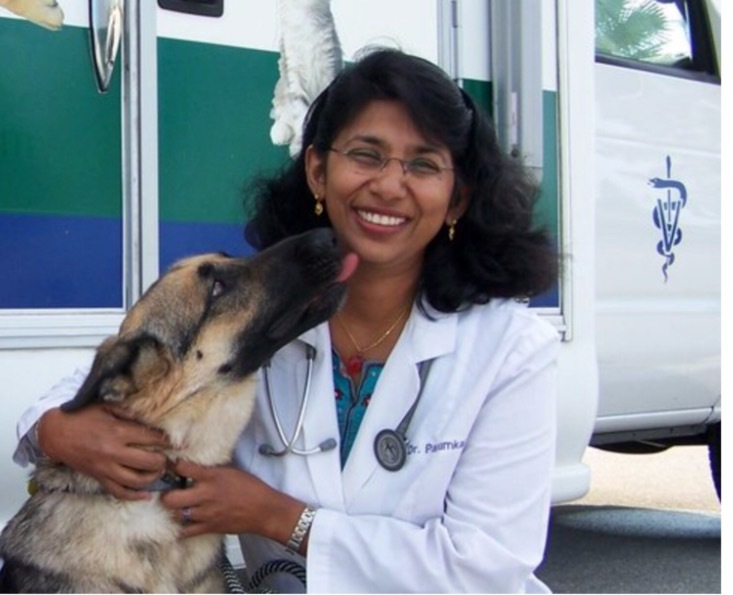 Dr. Plavumkal received her Doctor of Veterinary Medicine from the University of Florida at Gainesville in 2001. She has been a practicing veterinarian in Southwest Florida for 16 years, serving primarily in Cape Coral, Fort Myers, Sanibel, Captiva, Bonita Springs, Estero, and Naples. For more information, visit http://www.FloridaVetOnWheels.com or call 239-223-1289.